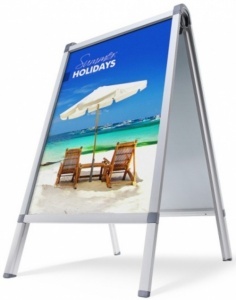 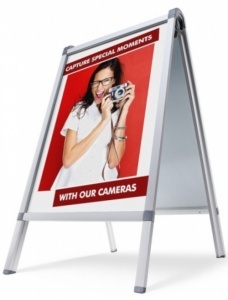 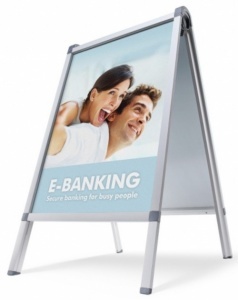 With its stylish designer looks this versatile pavement sign / poster holder features a unique safety catch folding mechanism which aids opening and closing. 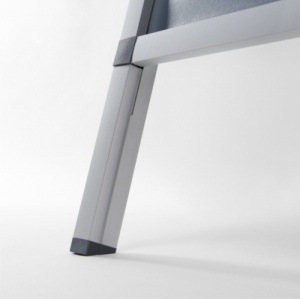 Finished in anodised silver as standard it has profiled aluminium legs with integrated snap profiles for improved poster capture. 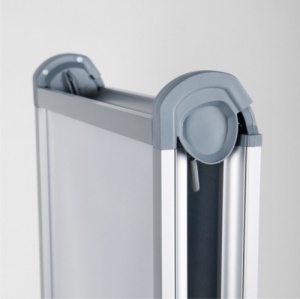 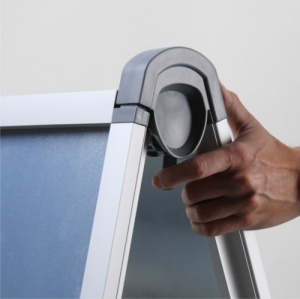 It also features an Anti corrosive metal back wall with silicone rubber gasket for frame rigidity with UV stable anti glare front poster sheets to protect posters from fading.